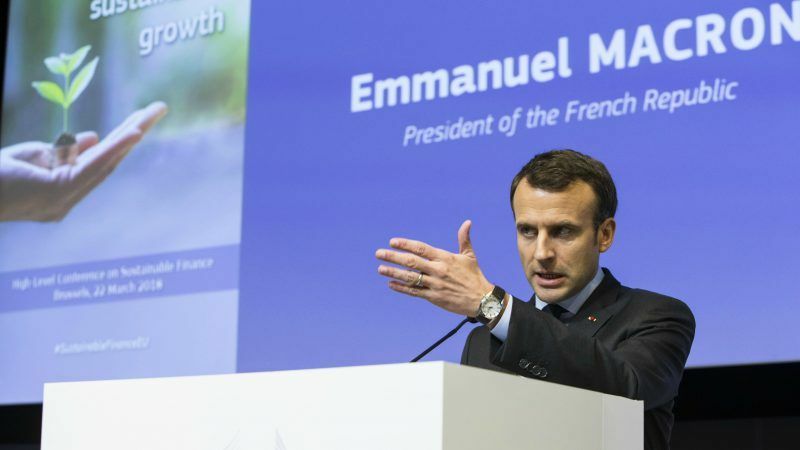 The transition to a low-carbon economy must be underpinned by financial market reforms to drive investments into clean technology, Macron told a European Commission conference on sustainable finance in Brussels. With its Emissions Trading Scheme, Europe has created the world’s largest carbon market but the price of CO2 allowances is currently too low to drive investments into clean technologies. France has done its part by setting a price of carbon of €44 a tonne for petroleum products on its domestic market this year, a fixed price that will be raised to €84 a tonne effective from 2022. “But it won’t be sufficient,” the French President said, calling for more determined European action. “This is why at the European level we need a carbon price floor,” Macron stressed, saying “it is the only way” to reach Europe’s long-term objective of becoming carbon neutral. “I know it is not easy. Everywhere, we will face resistance,” the French president admitted, saying he will defend the idea at the June EU summit. “But it is also the only way of creating new economic opportunities because it will also accelerate investment into other job-creating sectors” such as decentralised power generation, which is more job-intensive, he said. The UK has led by example in the European Union, by introducing a carbon price floor in 2013. But the idea is controversial in coal-dependent Poland and other countries in Central and Eastern Europe, which are likely to be hit hardest by the measure. If adopted, the EU carbon price floor should be accompanied by social policies for regions in transition where jobs will be destroyed, Macron conceded. It will also have to be complemented by “a border adjustment mechanism to avoid penalising our companies because of our climate commitments,” the French president added. “Which also means we have to put in place a taxation at the border for those who decide not to make the same environmental choice,” Macron said, without explicitly mentioning the United States which announced its intention to pull out from the Paris Agreement last year. The CO2 border tariff is a long-standing French idea that was first floated ten years ago, and was taken up by the European Commission before the 2009 UN climate summit in Copenhagen. However, it gained few supporters. Only Italy officially supported the plan while Germany, which had initially backed it, later showed hesitation over fears it could lead to a trade war that would damage its export-dependent economy. A German minister at the time even likened the idea to “eco-imperialism”. 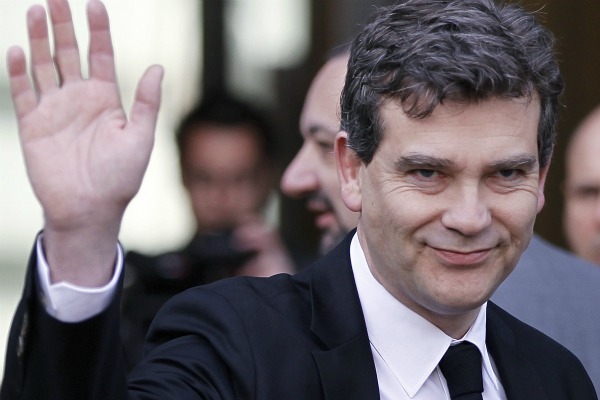 Arnaud Montebourg, the newly-appointed French minister for "industrial revival" who has built a reputation for his fierce attacks against globalisation, has promised to revive old plans by Nicolas Sarkzoy for a carbon tariff at the EU's borders, an idea previously rejected as protectionist among France's European partners. But Macron seems to believe the Paris Agreement now makes the carbon tariff idea palatable, suggesting the proceeds could partly go to funding the EU budget after Brexit. Europe’s trade policy has to be consistent with the environmental choices it makes at home, the French president argued. “Why would we have a commercial agreement with powers that declare not wanting to sign the Paris accord?” Macron asked. 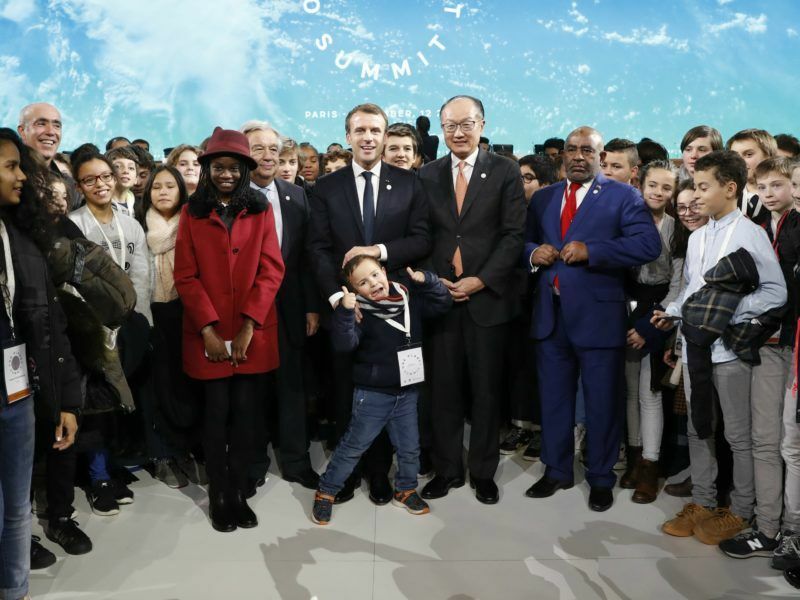 “Let us assume our climate leadership,” Macron said, calling on the EU to abandon its “policy of the weak” which imposes strict environmental constraints on its businesses without requiring the same from trading partners.